Why, after all, is the medical fraternity afraid of the Clinical Establishments (Registration and Regulation) Act? Back in 2010, when the law, henceforth referred to as CEA, was notified, it was hailed as a model one. The law, which is applicable to all types of health establishments and all streams of medicine, aims to streamline healthcare services across the country, while ensuring private hospitals do not engage in unethical practices. But eight years on, nothing much has changed on the ground. 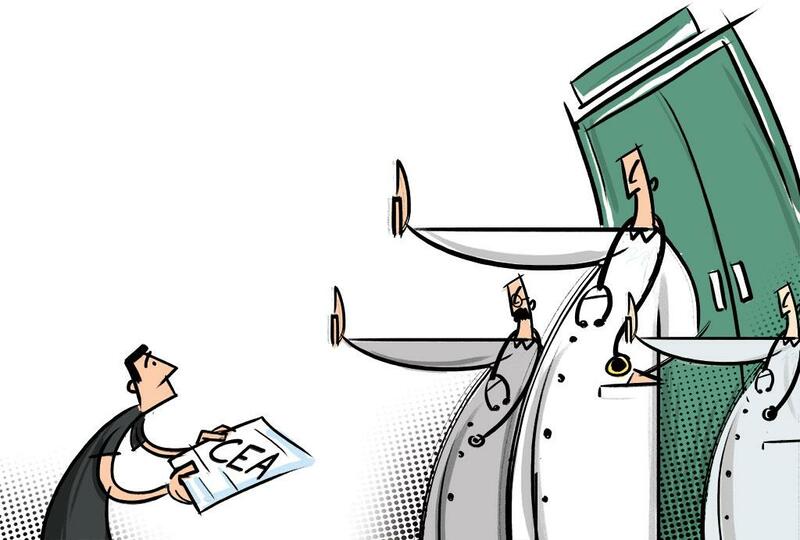 Doctors, especially those associated with private clinics and hospitals, are dictating the terms of CEA to such an extent that states are succumbing to the pressure and dragging their feet over implementing the law, despite a recent reminder by the Centre. Sample this: in November last year, as the Haryana government was getting ready to enforce CEA, which it had adopted three years ago, it faced a massive opposition from the state chapter of the Indian Medical Association (IMA). On December 15, outpatient services were suspended at all private hospitals in the state. Succumbing to pressure, the government has announced that hospitals that have under 50 beds will be exempted from the purview of the Act. Doctors in Uttarakhand too are flexing their muscles to frustrate the state government’s attempt to enforce CEA and are dema nding amendments on the lines of the Haryana government. Explaining reasons for the opposition, IMA Secretary General R N Tandon says it is impossible to deliver on the law’s requirements. It requires private hospitals and clinics to provide standard facilities and yet charge minimum fees. The law also requires hospitals and clinics to stabilise patients, who are in a critical condition—those who are in danger of dying. Tandon adds this is not possible for all, as it requires certain degree of specialisation. Small-time practitioners, for instance, can only offer preliminary care and first aid. If the law is implemented, it will affect such practitioners, who cater to 80 per cent of the people seeking healthcare, he says. Besides, Tandon asks, why the government which has failed to improve public healthcare system wants to regulate the private sector. Health activists beg to differ. “Private practitioners are against CEA because it hurts their interest,” says Abhay Shukla of Jan Swasthya Abhiyan, a network of public health activists. Arun Gadre, author of Dissenting Diagnosis, a book on corruption in the medical sector, says the law lays down the basic minimum criteria for setting up a clinic or hospital. “For instance, under the law, a health establishment should have sufficient sitting space, provision for proper waste management and must adhere to certain set standards if they have facilities like operation theatre and labour room,” he adds. In case of any discrepancy, the law allows patients or their kin to lodge complaints upon which action will be taken against the establishment. CEA also talks about maintaining data related to patients. Gadre, however, agrees with Tandon’s gripe that “stabilising critical patients” should not be made mandatory under the law. “Maharashtra has changed this provision in its draft of CEA to administering first aid which will be enforced soon,” says Gadre, who was part of the drafting process. But will the state be able to enforce this tweaked version of CEA? Some experts doubt this. “Enforcement of CEA is a problem because health is a state subject and states are succumbing to the pressure of the private healthcare sector,” says E Premdas Pinto, director of research and advocacy at the Delhi-based Centre for Health and Social Justice. “The primary reason for this is that a majority of the country’s population rely on private facilities for healthcare,” he adds. The latest 2015 survey by the National Sample Survey Office also suggests that due to the dismal condition of public healthcare services people depend on private facilities for the treatment of more than 70 per cent of ailments—72 per cent in rural areas and 79 per cent in urban areas. And the private health sector is not shying away from cashing in on this mad rush. Projections by global market research analyst Frost & Sullivan show that the worth of private healthcare industry is expected to reach US $280 billion in 2020 from the current $45 billion. Pinto cites another reason for this growing clout of the private healthcare sector. “Several politicians have invested in private healthcare industry and are hand in glove with the money-minting private hospitals.” For instance, Chief Justice of India Dipak Mishra is facing serious allegation over his alleged involvement in a controversial medical college scam. As of now, CEA has been adopted in 14 states and Union Territories, including Assam, Jharkhand, Arunachal Pradesh, Rajasthan, Uttar Pradesh, Bihar, Uttarakhand and Sikkim. But no one has enforced it as yet. Even states like Karnataka and West Bengal that took their own initiative to regulate the private healthcare sector are feeling the heat. The former was the first state to introduce such a law, the Karnataka Private Medical Establishments Act , 2007, even before CEA was introduced. But not a single case has been registered under it in the past 10 years. To make it stringent, the government in December 2017 amended the law. But this spurred protests, following which the state government has diluted it. The law that is in force now states that no state-level authority can monitor the performance of private health establishments. So far, West Bengal is the only state that has managed to rein in private hospitals and clinics through the West Bengal Clinical Establishments (Registration, Regulation and Transparency) Act, 2017. The commission established under the law has so far penalised two private establishments—Kothari Medical Centre and the SVS Marwari Hospital—for lapses in service and unethical trade practice. But the law is applicable to only those hospitals with over 100 beds. As states are dilly-dallying the implementation of laws to regulate the health sector, the Centre should establish an authority on the lines of the Telecom Regulatory Authority of India or the National Green Tribunal, which can ensure their proper implementation and take action against defaulters, says Pinto. CEA, if implemented in letter and spirit, can go a long way in checking corruption in the healthcare industry. Though private healthcare establishments claim to offer high-quality treatment, they are known to botch up cases badly. A few recent instances show that the Centre was right in sending a timely reminder to all the states over implementation of CEA. In November, Union Health Secretary Preeti Sudan had directed the chief secretaries of all states to adopt CEA and not let private hospitals indulge in unethical practices. The following incidents show why regulation is must. Last year in December, a baby wrapped in a plastic bag and handed over to its parents by Max Hospital in north Delhi for burial, was later found to be alive. In November, Fortis Hospital in Gurugram charged Rs 18 lakh from the family of a seven-year-old dengue patient, who later died. Relatives of Sunil Kumar, a patient, have written a letter to Haryana Chief Minister Manohar Lal Khattar, alleging that Paras Hospital in Gurugram has charged a whopping Rs 83 lakh for treating his spinal injury. Instead of getting well, the patient's condition has deteriorated. In all these cases, no action has been taken against the hospitals. Though the Delhi government cancelled the licence of Max initially, later the order was stayed by Lieutenant Governor Anil Baijal. (This story was first published in the 16-28th issue February of Down To Earth, under the headline 'Immune to accountability').